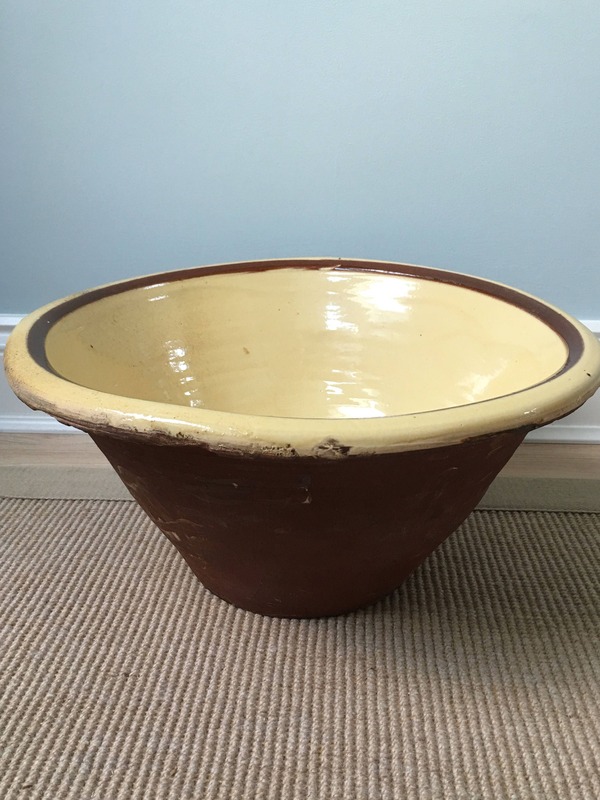 A very rare survivor as these bowls were in everyday use on the farm. 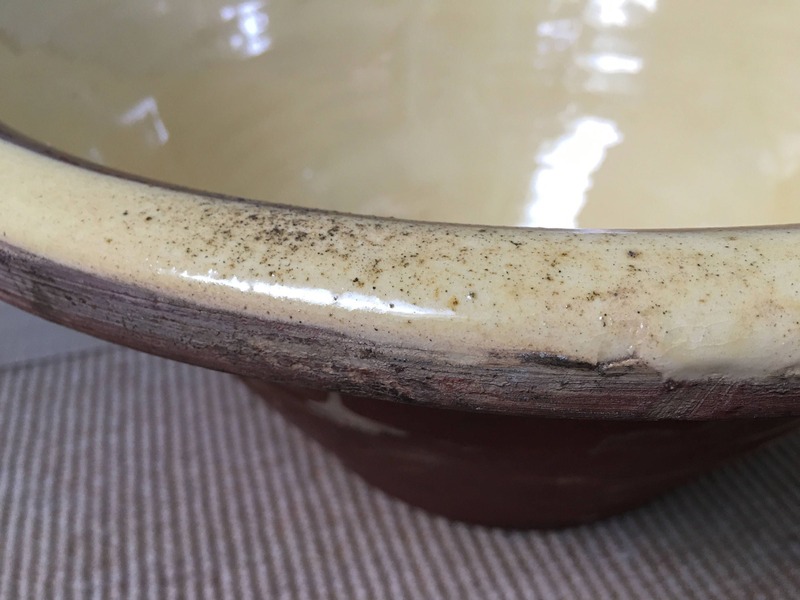 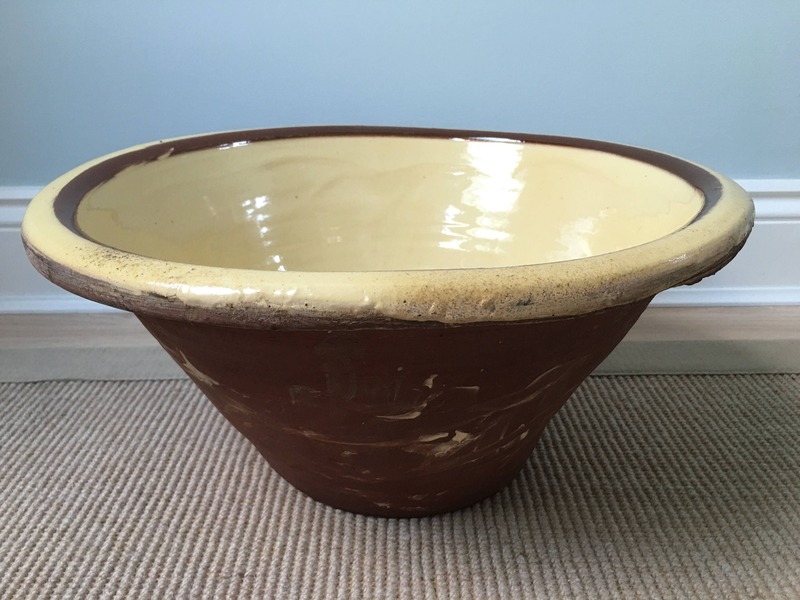 Very simply hand potted, you can see the ribbing on the inside then a yellow slip glaze with brown banded decoration to lip. 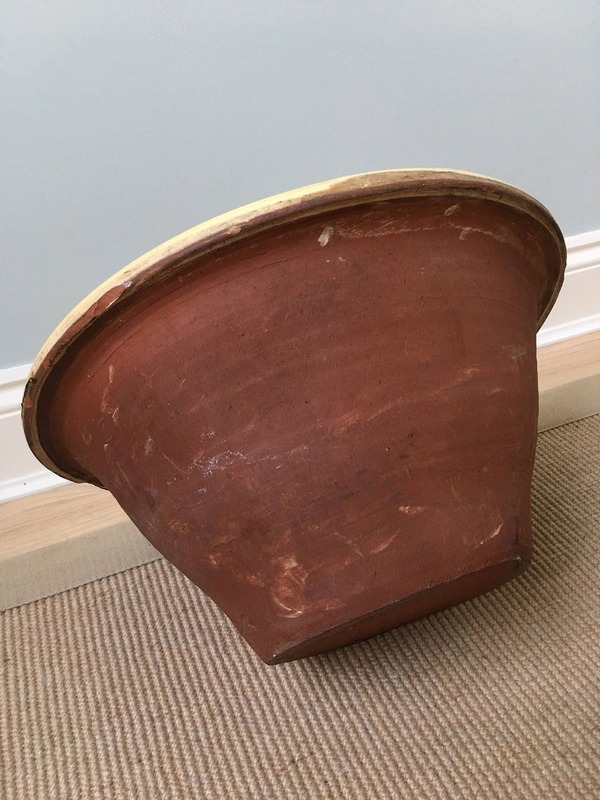 This one (of three) came from East Sussex. 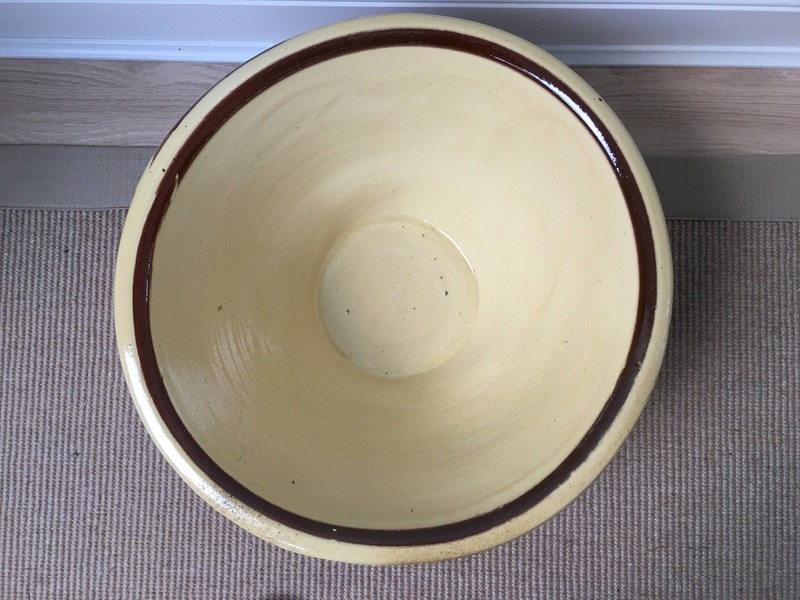 Diameter is 41cm and depth is 20cm.